While opportunistic attacks are easily blocked, targeted and advanced attacks need multiple indicators to contain and disposition confidently. Identifying activities across systems, segments, applications, and users takes skill and time, usually more time than the attack's own successful execution. This week at Palo Alto Ignite, we're excited to demonstrate a new integration that shows the power of network prevention, detection, and response working together in an integrated workflow. 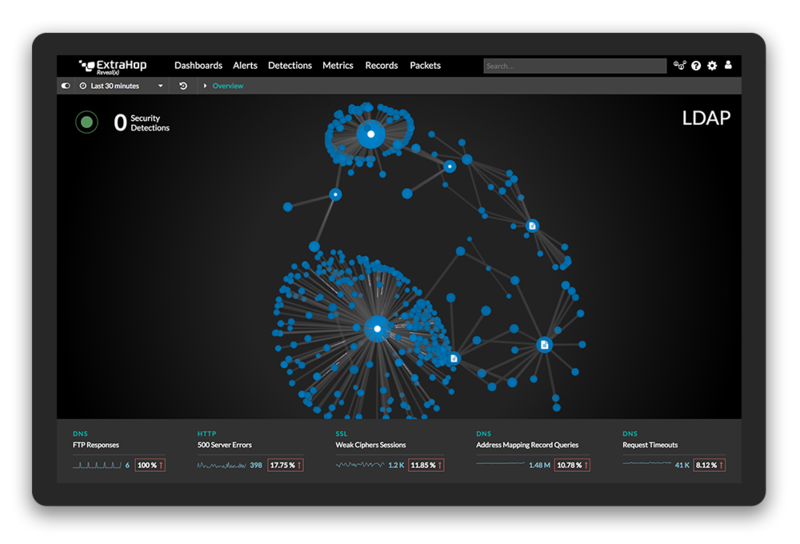 As part of the Palo Alto Networks Application Framework, ExtraHop's forthcoming Palo Alto integration takes advantage of Palo Alto's cloud-based Application Framework to capture firewall and threat events with a high risk score and hand off for contextual analysis in ExtraHop Reveal(x). This integration will provide a short-cut for investigations and short-circuit attacks throughout the attack chain. Response activities can feed directly back to Palo Alto systems, to ticketing and case management systems, or into an orchestration. At Palo Alto Ignite, ExtraHop is also demonstrating integration and containment using Phantom and the Palo Alto Phantom app. For more information, visit ExtraHop in the Palo Alto Ignite Innovation Sandbox at the Anaheim Convention Center, or contact your sales engineer. With unprecedented visibility at scale, high-fidelity machine learning, and an automated investigation workflow, ExtraHop is already in use by many of the world's leading enterprises to intelligently secure their businesses and customer data. Our open approach facilitates integrations with leaders such as Palo Alto Networks, Splunk, ServiceNow, and Phantom, as well as customized integrations to adapt to each enterprise infrastructure. The Open Data Stream allows organizations to easily export wire data from ExtraHop into other analytics platforms, and our Open Data Context API, which pulls data from third-party sources into the ExtraHop platform, supports contextual, 360 degree visibility across the hybrid enterprise environment. You can learn about more options for integration at extrahop.com/products/integrations.